Army veteran Luis Zaragoza, 28, with his service dog Cheyenne. Zaragoza did two tours of duty in Iraq, and suffers PTSD. The Department of Veterans Affairs will cover the costs of service dogs to help veterans with impaired vision, hearing or mobility, but will not cover canines assigned for mental disabilities, according to regulations published on Wednesday in the Federal Register. The VA said that despite many individual veterans’ testimonials that mental health service dogs provide relief from the symptoms of combat-related disabilities such as Post Traumatic Stress Disorder (PTSD), it lacked research substantiating the efficacy of mental health service dogs. "VA has not yet been able to determine that these dogs provide a medical benefit to veterans with mental illness," the department said. "Until such a determination can be made, VA cannot justify providing benefits for mental health service dogs." To be defined as a "service dog" the animal has to be trained to do specific tasks for a person — such as picking things up, guiding them or providing balance. Trainers say that for veterans suffering mental disabilities such as PTSD or Traumatic Brain Injury (TBI), dogs can be trained to help avert panic attacks and wake them up as they enter a nightmare. The animals can be taught to remind veterans to take medications and alert them if they have left a burner lit on the stove. Luis Zaragoza, 28, who suffers PTSD from his service in the Iraq war, says he's experienced more progress in a month with his service dog, Cheyenne, than in all the years visiting the VA since his discharge in 2004. "For eight years I was just in limbo, but now I’m seeing glimpses of the old me — the me I was before I joined the military," he said of the service-dog program. The program, designed by Illinois-based nonprofit This Able Veteran, paired Zaragoza with the dog and a therapist. The dog is there to help the veteran re-enter mainstream life at intervals recommended and monitored by the therapist. In Zaragoza's case, the dog is trained to detect a tic — Zaragoza’s leg begins to shake — at the onset of a panic attack, and divert the veteran’s attention by bumping his leg. Cheyenne will do this a second time — more insistently — if Zaragoza fails to respond the first time. This happens up to five times a day, said Zaragoza, who lost nine soldiers in his company during two bruising stints in Fallujah and Ramadi, Iraq. The veteran says he is regaining his ability to get out of the house and do things — like go to the shopping mall — that he has avoided because of the anxiety and hyper vigilance that is common to combat-related PTSD. Zaragoza says he sleeps more, functions better in the day, and interacts with more with other people rather than choosing to isolate himself. He’s lost 15 pounds because he is more active. That was progress he had not seen despite years of visiting VA psychiatrists and doctors who prescribed medications for his PTSD symptoms. "At the VA, what they tend to do is pump you with medicine," he said. "That’s not a solution to any issue like PTSD or anxiety. They just kind of numb you. I knew that wasn’t the right choice for me. I was looking for an alternative." But Zaragoza’s opportunity remains relatively rare and unaffordable for many veterans. The cost of providing custom-trained Cheyenne was about $20,000 said Behesha Doan, president of This Able Veteran. The costs — for training, as well as Zaragoza’s travel expenses, veterinary bills, and equipment — were funded by private donations. Zaragoza was one of six veterans assigned a PTSD dogs by the nonprofit. But he is disappointed that the VA won’t pick up the bill so that more veterans can get this kind of assistance. As an employee of U.S. Fish and Wildlife in Chicago, he is able to handle the cost of maintaining Cheyenne — things like food, kennels for work, home and cars, and vet bills. Even these costs would challenge many fellow combat veterans, he said. "There are other veterans who can’t go to school or hold a job because their PTSD is so bad," said Zaragoza. "A lot of these guys live on $600 a month." Stories like Zaragoza’s prompted members of Congress to push for the VA to provide more canine assistance to veterans, and recommended more research to explore how dogs might best help veterans suffering two of the most common mental disabilities from combat in Iraq and Afghanistan — PTSD and TBI. As NBC News' Rebecca Ruiz reported in August, a team of epidemiologists, mental health providers, veterinarians and other experts were conducting a study at the Veterans Hospital in Tampa, Fla. Proponents were eager for the three-year study to deliver data to demonstrate benefits and help create a framework for training mental disability service dogs. But the research was temporarily suspended from January to June after a young girl was bitten by a dog. VA declined to be interviewed about the study, but told Ruiz that the project resumed after it increased monitoring through phone calls and home visits by the researchers and service dog providers. Training PTSD dogs is tricky because the illness ranges from very manageable to very severe, according to Corey Hudson, President of the North American chapter of Assistance Dogs International, a coalition of not for profit organizations that train and place canines worldwide. "You have to be careful what you’re getting into, and make sure you are qualified to train a dog for that situation," he said. He said that his understanding was that the VA wanted the results from the PTSD service dog research to show what was effective before making a decision on benefits. 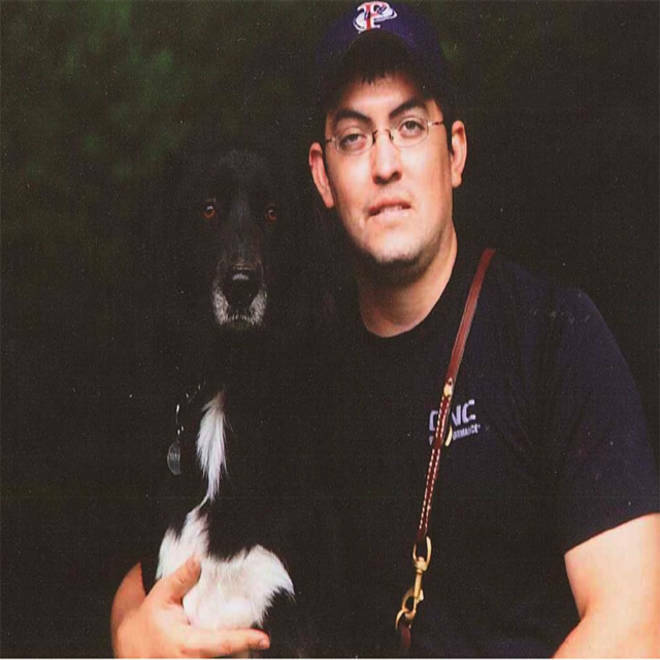 Doan, of This Able Veteran, said continued research, properly done, could help the VA set standards, and weed out service dog providers which have proliferated in the last few years. She stresses that pairing dogs and veterans without careful screening and training poses risks to both, and could just be a waste of resources. "In order for this to be taken seriously, we’ve got to show that we have considered all the aspects of what could potentially go wrong and maintain all the efficacy of what goes right," she said. She is hoping that the VA, in its decision not to cover PTSD dogs is merely taking a cautious, go-slow approach, not ruling out benefits for the future or merely dragging its feet. "If it’s done right we’ve got a helluva program going on," she said. "If it’s not, you’ve got Joe Bag-a-donuts out there grabbing some dog off the street and calling it a PTSD dog."